The Democratic National Committee is refusing to allow Fox News to host any of the Democratic primary debates in the lead up to the 2020 presidential election. 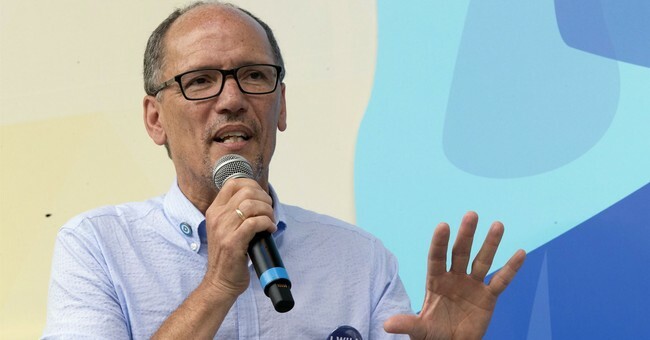 In his explanation last week, DNC Chair Tom Perez reasoned that the party was concerned by a recent New Yorker report that said Fox had too many ties to the Trump administration. Multiple anchors at the network were obviously disappointed, noting that they've practiced non-biased reporting plenty of times in the past, especially when it comes to national elections. Chris Wallace hosted a presidential debate in 2016, for goodness' sake. Now, even Democratic lawmakers are expressing their dismay in the DNC's decision. Rep. Jim Himes (D-CT) explained on CNN that, while he believes Fox is "an instrument" of the Republican Party, the network still deserves a platform in 2020 because it has a massive audience. "I don't think it was the right decision," says Democratic Rep. @jahimes for the DNC not to hold 2020 debates on Fox. Himes, who routinely appears on Fox himself, wonders what his party hopes to gain by sidelining Fox next year. Regardless of what channel the debates are on, the Democrats have the more "appealing" ideas, he reasoned. Former DNC Chair Ed Rendell agreed that his party had erred. “I think it’s a mistake for the DNC to do what they did," Rendell told Fox News's Laura Ingraham over the weekend. "If I was DNC chair – and I think Tom Perez is doing a good job – but if I was DNC chair, Laura, I would say, ‘give me Bret Baier, Chris Wallace, and Juan Williams and you can have that debate anywhere, anytime, any number of times.'" If enough people speak out - especially Democrats - will it convince the DNC to reverse its decision? According to President Trump, who needs 'em?